When Indian Prime Minister Narendra Modi visited the United States in 2014, he brought more than the promise of better economic and cultural relations between the two nations. Addressing a euphoric crowd at the Madison Square Garden on September 28, 2014, PM Modi announced that holders of Person of Indian Origin (PIO) card would soon be entitled to a lifelong visa and exempted from the previous requirement of registering with the local police when staying for more than 180 contiguous days in India. The lifetime visa entitlement for PIO card was only the first step towards a long- proposed merger between the PIO and the Overseas Citizen of India (OCI) schemes. 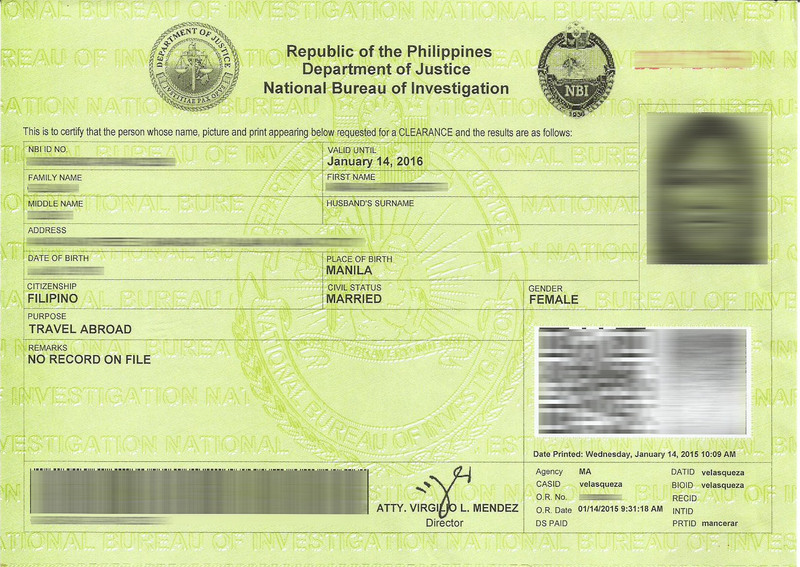 As a Filipina married to an Indian, I had owned a PIO card since 2009 and enjoyed the privileges that came with it, including visa-free entry to India, eligibility to undertake studies and take up employment without the need for a student or work visa, and parity with Indian citizens in terms of admission fees to heritage sites and museums. Unlike the OCI Card, which entitles the holder to lifetime visa-free entry to India, the PIO card was only valid for 25 years, after which one could re-apply for a fresh PIO card upon submission of documents and payment of the pertinent fees (around P12,000, if I remember correctly). As per a gazette notification dated January 9, 2015, all PIO cards are deemed OCI cards. While the intention seems clear enough on paper, the implementation was fraught with confusion about what the PIO cardholders had to do in order to get their PIO cards vouchsafed as an OCI card. 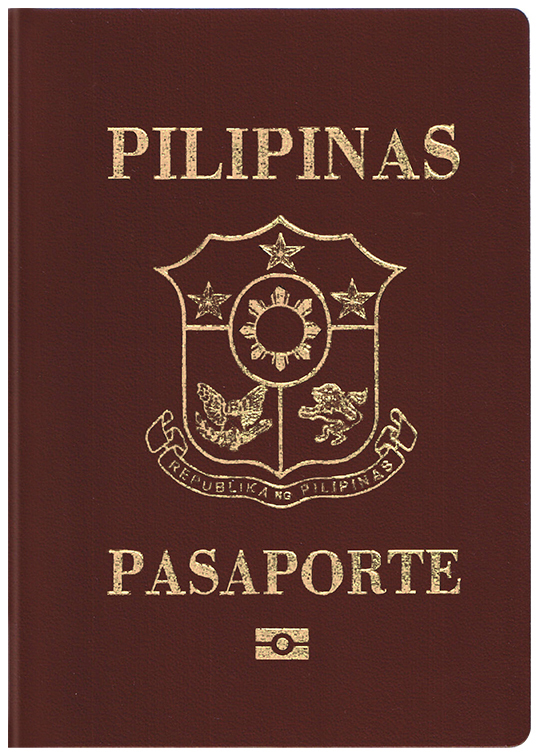 The PIO card, after all, carried a “validity date” and required an endorsement for every passport renewal or reissue. Did a cardholder need to convert his/her PIO to OCI card, or could he/she keep the PIO card and trust that it would be automatically treated as an OCI card? The confusion stemmed from the lack of a unified procedure coming from the Ministry of Home Affairs. As a result, the Indian embassies had to devise their own process for dealing with the new PIO-to-OCI scheme. 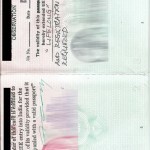 Some Indian missions abroad required PIO cardholders to turn in their PIO cards for stamping with a “lifelong validity and no police registration required” annotation, while others assured the cardholders that it wasn’t necessary since the PIO cards were already deemed to be OCI cards. 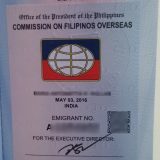 When I got my new Philippine passport in February 2015, I wasted no time in visiting the Indian Embassy in Manila to presumably get “lifelong validity” stamped on my PIO card and have my new passport endorsed on it. Instead I was advised to convert PIO to OCI card and that the process would take an average of two months. On top of that I had to surrender my PIO card while my OCI card application was in process. Ordinarily this would’ve been a no-brainer, but my son and I were booked to fly to Chennai on April 9th. I was left with two choices: either take a chance at flying out of Manila with my new passport not endorsed on my PIO card (I believe this is totally acceptable, at least in Indian ports of entry, as long as the old passport is brought along as well), hope the immigrations officials at the NAIA wouldn’t give me a hard time and then apply for PIO to OCI card conversion when I come back to Manila, OR I could just surrender to the inevitable: which is to apply for an OCI card and get it over with. I chose to do the latter and kept my fingers crossed for the next six weeks. I checked the status of my OCI application with the breathless anticipation of a besotted school-girl checking her mobile phone every hour to see if her super crush had sent an ambiguously romantic SMS. My OCI card application showed an acknowledgment date of February 19th. Assuming my application didn’t hit a snag, it was still too optimistic to expect to get my hands on my new OCI card before my April 9th flight. My anxiety grew as the Holy Week drew closer. From Holy Thursday ( April 2nd) up to Easter Sunday (April 5th), the entire country would shut down and take a holiday, except for those who work in so-called mission critical operations, like hospitals and public transit. Work would resume on Monday, August 6th, and by then it would be cutting it too fine to apply for a regular tourist visa. On March 22nd, I started to prepare an application for a tourist visa as a hedge. But before submitting my tourist visa application to outsourcing agency BLS International, I resolved to appeal to the Indian Embassy to temporarily give me back my PIO card so I could fly to Chennai with my son. At the embassy on March 27th, I pleaded my case to the consular employee. She was very sympathetic and promised to bring my case to the consul’s attention right away. She also advised me to write a formal letter of request addressed to the consulate. I wrote my letter on a legal-size bond paper that the kind embassy employee had furnished me and watched hopefully as she disappeared inside the consul’s office. After nearly two hours of being kept on tenterhooks, I was called to the Releasing window. The embassy employee held out my PIO card (it’s a passport-type document, actually), its pages open, showing the “lifelong validity and registration is not required” stamp on it. Oh, glorious day! 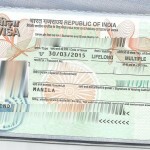 I was going to fly to India visa-free after all, and I was spared from coughing up P2210 in tourist visa fees. Relieved that I had the proper documentation to visit India, I stopped obsessing about the status of my OCI application but couldn’t help checking it online on April 4th. Lo and behold: my OCI application was printed on March 30th and dispatched from Delhi on March 30th. Under ideal circumstances, it was unlikely for the OCI card to reach me before my flight, but I worried that the card would arrive in Manila shortly after we reached India. I couldn’t think of any person whom I could trouble to pick up my OCI card on my behalf, so the Indian Embassy would have to hold it for me for more than 30 days. I called up the Indian Embassy and informed them of my new dilemma. The lady who answered the phone (the same kind employee who helped me with my PIO) assured me that they would keep my OCI card until I got back. My son and I flew to Chennai as scheduled, stayed there for five weeks, visited Mumbai and Bangalore, attended a family member’s wedding in Salem, and had the time of our lives. While in India, I received an email from the Indian Embassy in Manila, informing me that my OCI card was ready for pickup. Three months after I filed my application with the Embassy, I collected my OCI card and Philippine passport with the lifetime U visa sticker on it. I couldn’t think the kind consulate lady enough. Compared to other PIO cardholders, my experience of converting PIO to OCI card had been relatively painless. My only miscalculation was applying for the conversion less than two months before my flight to India. My advice to anyone who is thinking of converting their PIO to OCI card is to send in their applications at least six months before their intended date of travel. That would leave ample time for the entire process to complete, with allowance for possible glitches. I have read of stories (mostly on Indiamike.com and Immihelp.com) of OCI card applications taking as long as 17 months when applied for in India, so if you happen to live abroad, better to file your application in the Indian mission where you had applied for your PIO card. It is a mystery why OCI card applications filed in India take longer than those filed in Indian missions abroad, but that is the anecdotal truth. Another advice I could give PIO cardholders is to submit their OCI card application in person to the Indian consulate, if circumstances allow it, instead of coursing them through the visa processing agencies. Not all agencies are alike. Some require as many as 15 documents with two or three copies, notarized and countersigned, while others may ask only for five or six. Based on others’ anecdotal experience, the OCI card application process is noticeably quicker when applied for in person at the Indian mission. As of this writing, the Indian Ministry of Home Affairs has set a March 31, 2016 deadline for accepting applications for PIO to OCI card conversions. My son has recently renounced his Indian citizenship after obtaining a Philippine passport. As soon as we got his Philippine passport, I applied for an OCI card on his behalf right away. His OCI card application was acknowledged on June 30, 2015. We have no immediate plans to travel to India, so there was no hurry on our part. To my surprise, my son’s OCI card was approved and printed on July 24th and dispatched from Delhi on July 27th! For now, we wait for the update to show that the document is now in the custody of the Indian Embassy. I promise to update this post as soon as I collect his OCI card. hi. i’m also a filipino married to an indian. 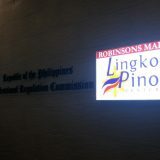 I also have PIO as of the moment and planning to visit philippines this month. 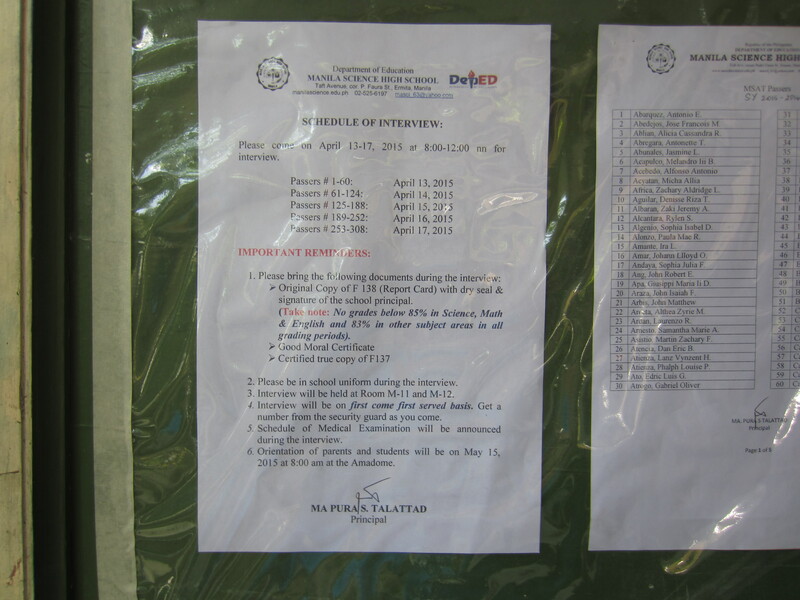 I would like to check with you, what are the documents required by Indian Embassy Manila to convert PIO to OCI? Hello, Anne. You may check the requirements for PIO to OCI conversion on the Indian Embassy’s website itself. My motto when it comes to preparing requirements is “the more, the better.” Basically, you must submit the same requirements that a new OCI applicant is expected to present, and that’s exactly what I did. Don’t forget to register first your application online at https://passport.gov.in/oci/capchaActionPIO . Good luck! Hi..I am a filipina married to an Indian. We got married last year in India. I am currently in Philippines and I am planning to go back India this coming Dec. May I know what are the documents required for me to get a OCI card. I’m just worried with all ths paper works. Hope you can help me. Thank you. Hi, Sally. The requirements for availing of OCI card can be found on the website of the Indian Embassy of Manila and on the OCI Services webpage administered by the Indian government. I suggest you read through them to understand the procedure. One key requirement is that your marriage to an Indian national “has been registered and subsisted for a continuous period of not less than two years prior to application.” Since you mentioned that you got married last year, you’ll have to wait for your second wedding anniversary before applying. Your first step now is to report your marriage to the Philippine Embassy in New Delhi (or the nearest Philippine consulate in India where you live), if you haven’t done that already. Hi im filipina married to indian also.. i applied for oci card since april of 2015 but till now i didnt got it.. only it shows under process online.. they told me i need to submit again my birth certificate attested by indian embassy in the philippines. Can i ask what really are the requirements to be submitted in order for them to approved my application,, ? Im in dubai now and i applied here in indian consulate dubai. I really need ur help,, thank you. Hello, Sumayya. I have never heard of someone waiting for more than a year for their OCI card. The requirements for OCI card are listed on the Indian government website. However, the Indian Embassy/Mission has the right to request additional documents/certification from the applicant, and you are expected to comply with that. All applications are sent to the Ministry of Home Affairs in New Delhi, where they are reviewed and background checks are done. They are the ones who decide whether to grant your OCI card or not. I don’t know how I can help you except to suggest that you contact the Indian Consulate in Dubai and ask what might be holding up your application. Good luck. To the best of my knowledge, you can travel to India with the PIO card on a new passport, as long as you carry/present the old passport that is linked to the PIO card. 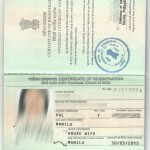 Hi, I am a Filipina married to Indian national for 3 years now. Our marriage has been solemnized in the Philippines last 2014. Right now I’m in India for 6 months vacation through entry visa which is valid for 5 years. 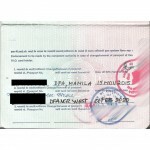 I’m planning to get OCI card when I return to Phils.next year. As mentioned on website of the Indian Embassy in Manila that one key requirement is that your marriage to an Indian national “has been registered and subsisted for a continuous period of not less than two years prior to application. My question is since we got married in the Philippines should my husband needs to report our marriage in Indian Embassy in Manila? Or can I apply for OCI card and will just give our NSO marriage cert as proof of our marriage? I have read previous comments here but most got married in India which is contrary to my situation. I hope you could give me advice as to what to do. Thank you. I’m sorry, but I was married in India, too, so I wouldn’t know which additional certifications your NSO Marriage Certificate would require. I guess you can try calling the Indian Embassy to find out. Hi ma’am I’m Filipina married with Indian national I have my PIO card with but I was advised to change it into OCI after I renew my passport. .now I got my new passport here in Manila my worries now I have to go back to India soon since the processing time of OCI will take 4-6weeks shall I use my PIO card to go back India I hope the immigration won’t give hard time. Please advice thank you. You can still use your PIO card to travel to India. What were the documents you uploaded on the oci website? I know you’ve posted a link on the requirements but they’re not specific. Did you give attested documents (either by Indian or Phil foreign affairs) like marriage contract your birth cert your son’s birth cert husband’s passport anything else?